The Prog Magazine was chosen to present Transcend, a nine-minute epic song from the new upcoming Thought Chamber album Psykerion. Hear it below. Vocalist Ted Leonard, now with Spock’s Beard, has reunited with multi-instrumentalist Michael Harris for the long-awaited follow-up to debut album Angular Perceptions. They’re joined by bassist Jeff Plant, keyboardist Bill Jenkins and drummer Mike Haid on the 16-track title. Psykerion is released on September 16 via InsideOut. Outworld was a progressive metal band formed in 1997 by guitarist Rusty Cooley, and disbanded in 2009. Their name is allegedly taken from the fictional Outworld realm of the Mortal Kombat video games. The original line-up of the band was keyboardist Bobby Williamson, who joined Thought Chamber for a short while and has recently released an album with Eumeria; guitarist Rusty Cooley whose current band project is Day of Reckoning; drummer Darren Davis who joined Six Minute Century and Mystic Cross later, bassist Brent Marches. They set out to make instrumental music but soon after decided they wanted to also have vocals and added Kelly Carpenter. Later Shawn Kascak as bassist, Matt Smith as drummer and Carlos Zema as singer replaced Marches, Davis and Carpenter. 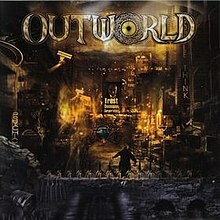 In December 2004, Outworld signed with Replica Records and recorded their only album, Outworld which was released 2006.